We visit Bodnant Gardens often – it’s about an hour and half from Manchester, inland from Conwy on the North Wales Coast. It’s one of our favourite places – there’s always somewhere beautiful to walk, time to stop and smell the flowers, relax and enjoy the scenery – the garden overlooks Snowdon. Last Saturday, we took a picnic and headed off to Wales; we have been together six years on 20th June so were celebrating that too. We had a lovely time, the weather was sunny and warm, we took many photos of the Dell, in particular (the rhododendrons and azaleas were nearly over but the hydrangeas were just coming into bloom). We arrived at the rose garden about 5pm. It was exceptional – the roses are in full bloom and the scent incredible. Then My Chap got down on one knee and asked me – I said YES!!!! 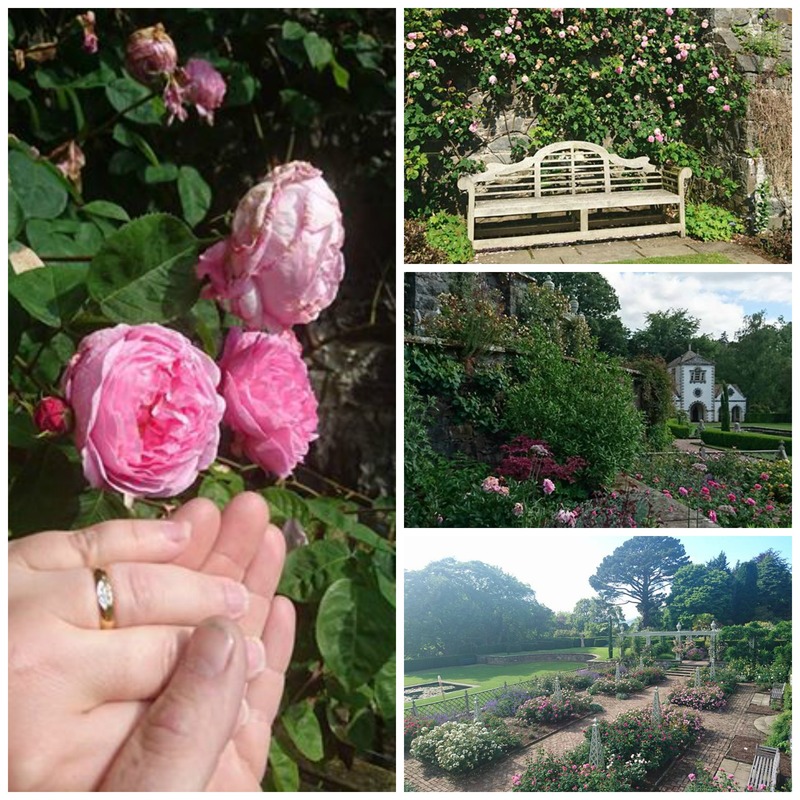 This entry was posted in Great gardens, Life and tagged Bodnant, engagement, rose, Wordless Wednesday on June 22, 2016 by Bec - views from my garden bench. Some people see the glass half full. Others see the glass half empty. The enlightened are simply grateful to have a glass. Mark Desvaux – Life Coach at 4000Saturdays. For my ‘In a Vase on Monday’ this week, I decided to pick some of the first flowers that appear in my garden – Hellebores. There were a couple of reasons for this which I’ll explain – a trip to Tatton Park inspired me. Cathy hosts ‘In a vase on Monday’ at Rambling in the Garden; this week she has a collection of three vases with daffodils – a symbol of Spring and lovely, bright colours which lifted my mood. Do have look and join in if you can. I think my tête-à-têtes daffodils will be appearing in my vase soon. On Saturday, My Chap and I went to Tatton Park. We go often, as it’s only about 45mins drive from our house, and there’s always something interesting to see. I love the Japanese Garden in particular, especially the colours of the acers in the Autumn. Tatton Park, is owned by the National Trust and is, of course, home to the Royal Horticultuaral Society. Tatton Park Flower Show in July (20-24 July 2016). I wonder what will happen to the Tatton Park show when RHS Bridgewater garden opens in 2019? I am VERY excited about this garden coming to Salford – great for tourism, employment and encouraging horticultural and ecological knowledge for everyone . It’s going to be 3 miles from my garden too! 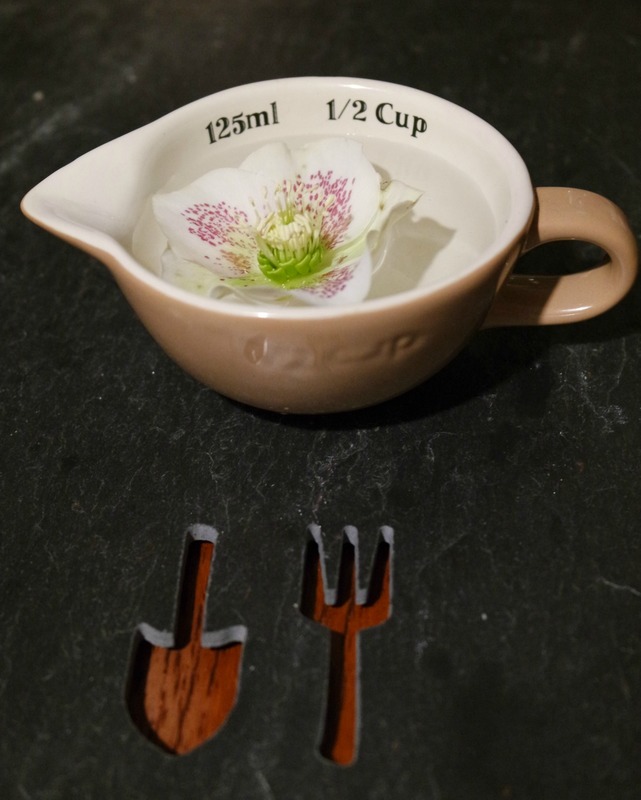 This entry was posted in Great gardens, In a vase on Monday, Manchester and tagged afternoon tea, cooking, hellebore, measuring cups, Royal Horticultural Society, tatton park on February 15, 2016 by Bec - views from my garden bench. This entry was posted in Adventures, Great gardens and tagged Bodnant, Laburnum, N Wales, national trust on June 10, 2015 by Bec - views from my garden bench. Bodnant Gardens are run by the National Trust and are situated above the Conwy valley looking towards the towards the Carneddau mountains. The gardens cover over 80 acres. 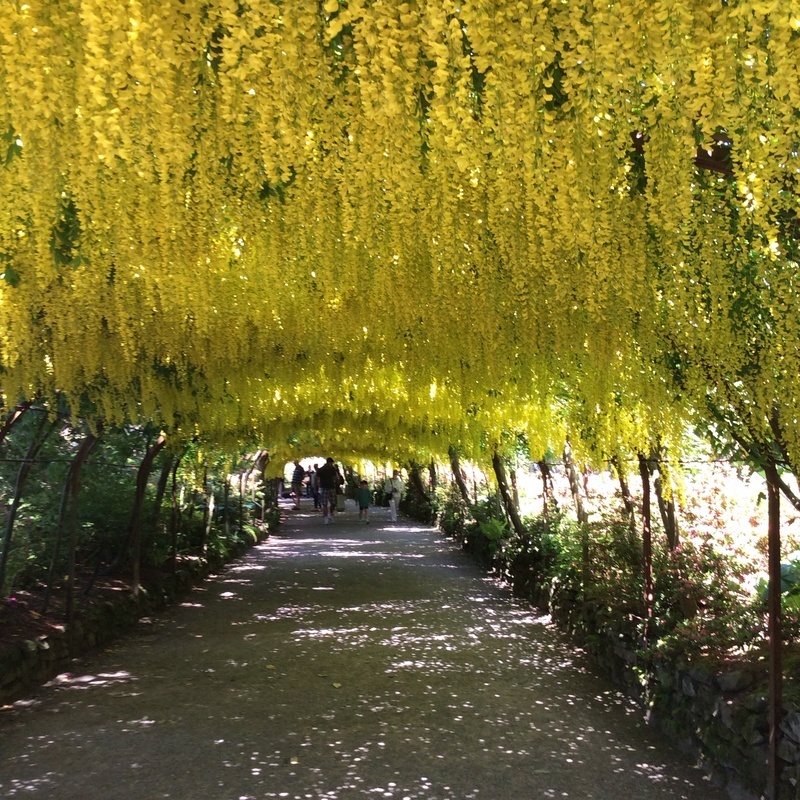 The sun was shining, the laburnum arch was in full bloom (it’s the longest in the UK and is only in flower for a couple of weeks). The rhododendrons were glorious but it was the wisteria, clematis and roses, just coming into bloom, that really caught my eye on the Italian terrace at the front of the house. We bought some more plants too. 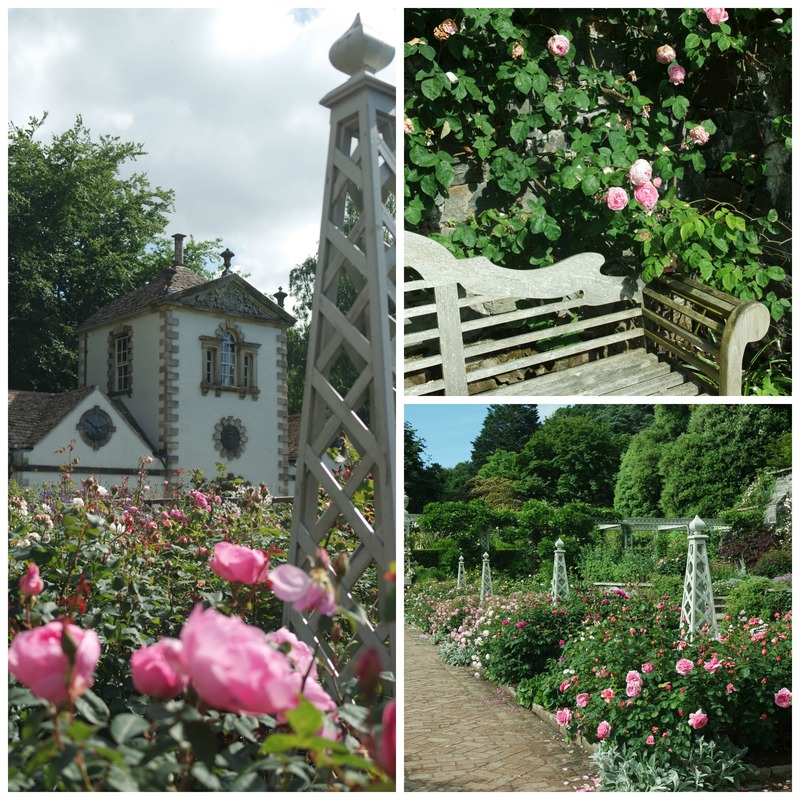 I’ll write more soon about Bodnant but if you’re in the area do visit – the roses will be out very soon. 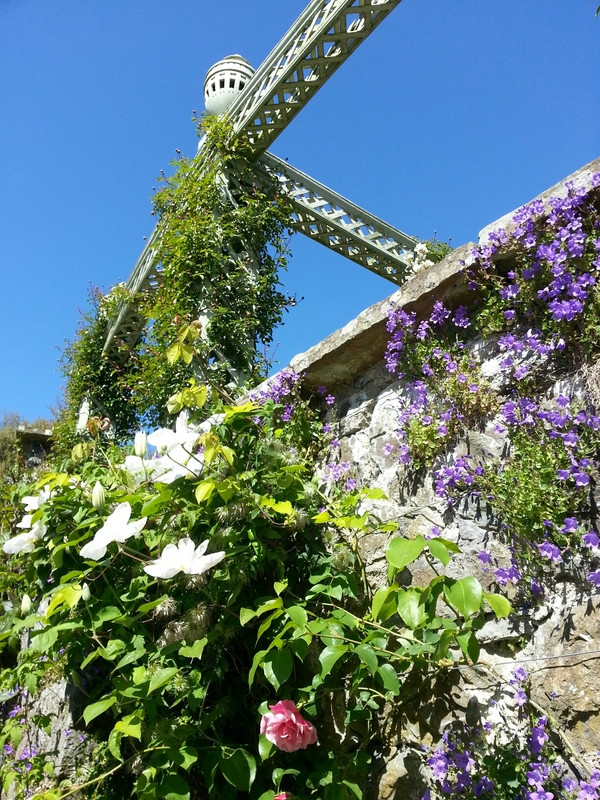 This entry was posted in Adventures, Great gardens and tagged Bodnant, clematis, national trust, wales, wisteria on June 7, 2015 by Bec - views from my garden bench.